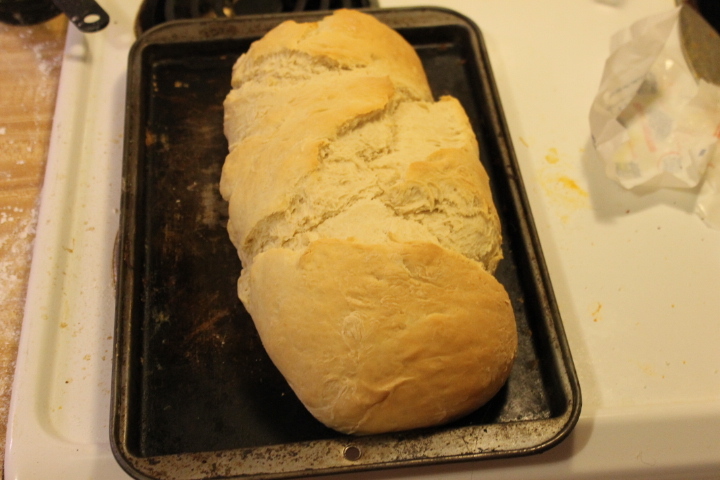 I wanted to attempt making my own version of homemade bread. 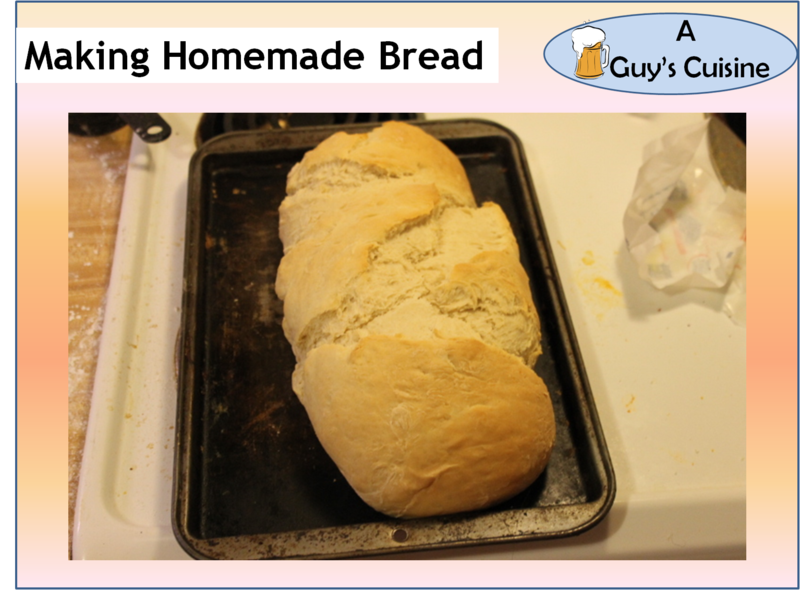 Homemade bread tastes better and is easy to make. And you also do not need many ingredients as well. So here is what you need. 1. Combine yeast, water, and sugar into bowl and let yeast rise for around 10 minutes. 2. 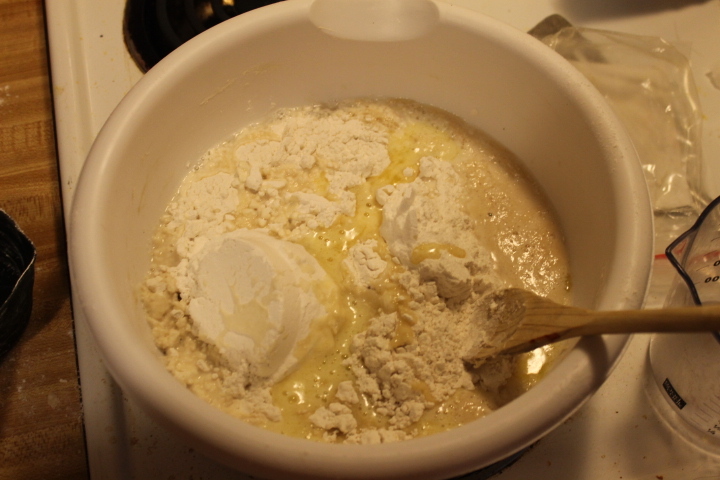 Combine yeast mixture with flour, butter that is melted, milk, and salt. 3. 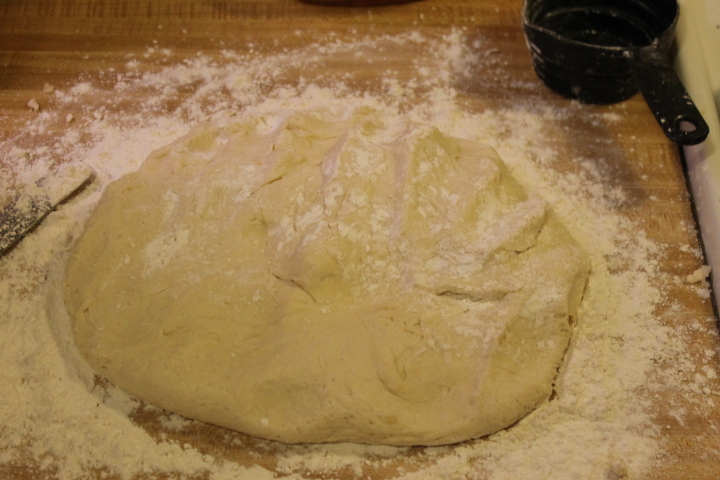 Knead the dough on a floured surface for around 10 minutes. 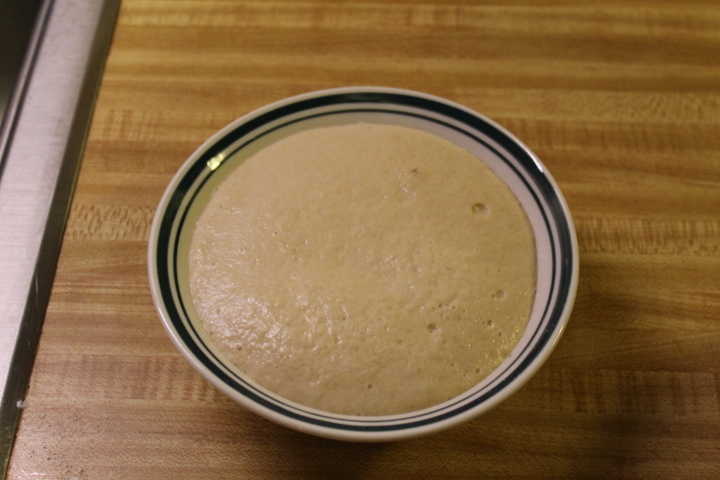 Then place the dough inside a bowl and cover with towel. Let rest for one hour. 4. Preheat oven to 400 degrees. Knead dough again and roll dough together. 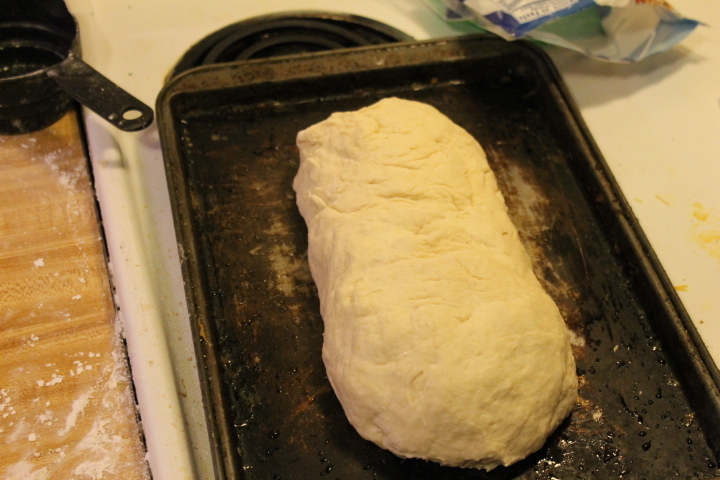 Place into bread pan or onto a cookie sheet which I had. 5. Cook bread for around 30 minutes or until golden brown. Take out of oven and let cool. 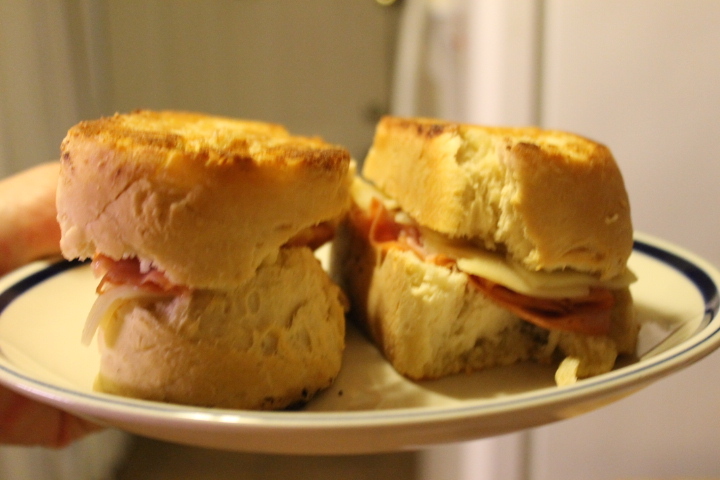 This bread made for an awesome ham and swiss cheese sandwich. Enjoy making!